Provides mild support and immobilization of the neck to help relieve pain due to strain or injury. Foam collar is covered with a cotton stockinette for better patient hygiene. 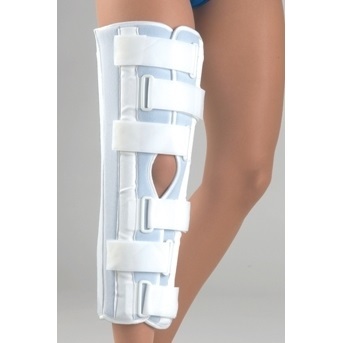 Features a stabilizing strap and pressure-sensitive closure. Contoured for a comfortable, secure fit. Universal size fits most adults. Add this and $86.05 worth of other products to qualify your entire order for Free Shipping! Supports neck and helps relieve pain due to strain or injury, minor injuries to neck, and immobilizes neck for improved rehabilitation. 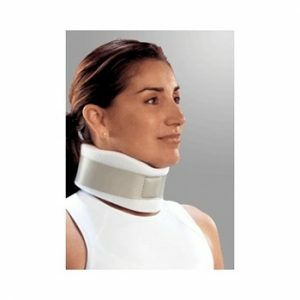 Medium density foam collar with vinyl stabilizing panel helps support cervical spine in neutral position. Cotton stockinette cover for better patient hygiene. 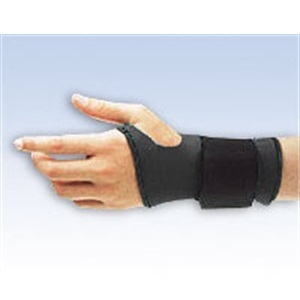 Ideal for post-operative rehabilitation or cervical sprains and strains. Latex free.